Has My Voice Fully Matured? I’m a guy, and I’m 17. I’m a tenor and even though I’m a tenor… I have a really limited vocal range, I’ve been seeing a vocal coach for the past year and a half. I can only reach an A with my ”normal” voice, after that I either have to belt or sing in falsetto. My vocal coach told me that she’s never seen a tenor guy like me with such a limited vocal range. 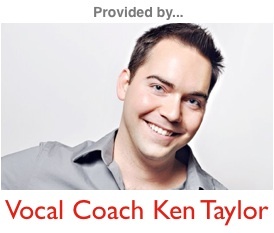 My falsetto range is like HUGE… But I don’t want to rely on falsetto all the time, you know? And to be honest, don’t get me wrong though! Personally, what I feel like for my voice I think that it’ll get too like… wimpish haha? Do you know what I mean? Like playing it too safe and etc… So I’m asking you a guy to guy, do you think my voice has been fully developed yet or is it like still developing? Hey Pierre, While I haven’t heard your voice, nor do I know you personally, I can say with almost 100% certainty that your voice is not fully developed. One of the reasons I can say this with full confidence is because you are only 17 years old. We as guys don’t come into our vocal prime until our mid 30s. So, for all things staying the same, things should get a little easier for you for at least another decade and a half! The other reason I say that, however, is where you say your voice tops out. It says something to me that the highest point of your range is right at your second bridge. It implies that there’s a good chance that you’re actually taking too much chest voice up with you while you’re singing, which is causing your voice to be dramatically limited. In order to get past this point, you’ve got to avoid pressing through your bridges (something that we as testosterone-filled guys do very well). To do this, you must avoid adding more air pressure as you ascend into the upper parts of your range, and narrow out the vowels. Think of approaching those notes with a speech-like balance, giving your muscles the ability to let go and allow the space to do the work. Doing this is sometimes easier said than done, but regardless as to whether or not you’re able to accomplish this with only the help of this article, one thing in my mind is for certain, and that’s that you have quite a bit more voice left for you to discover. So, don’t give up! PS- You might check out these articles to help get you started.